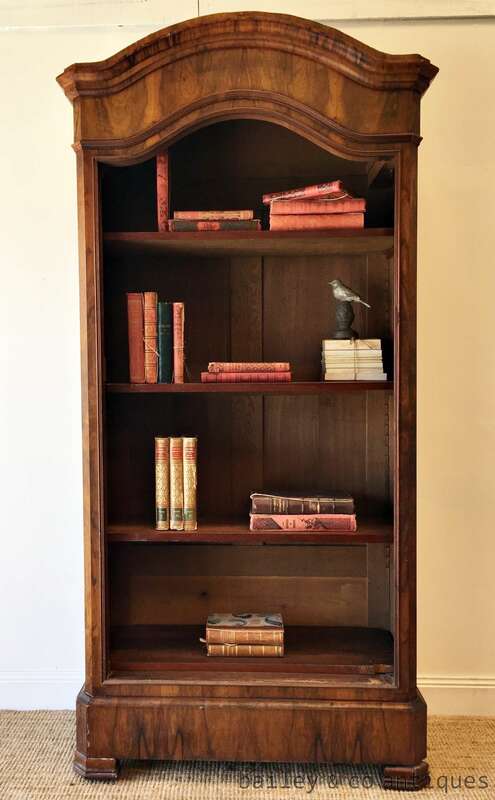 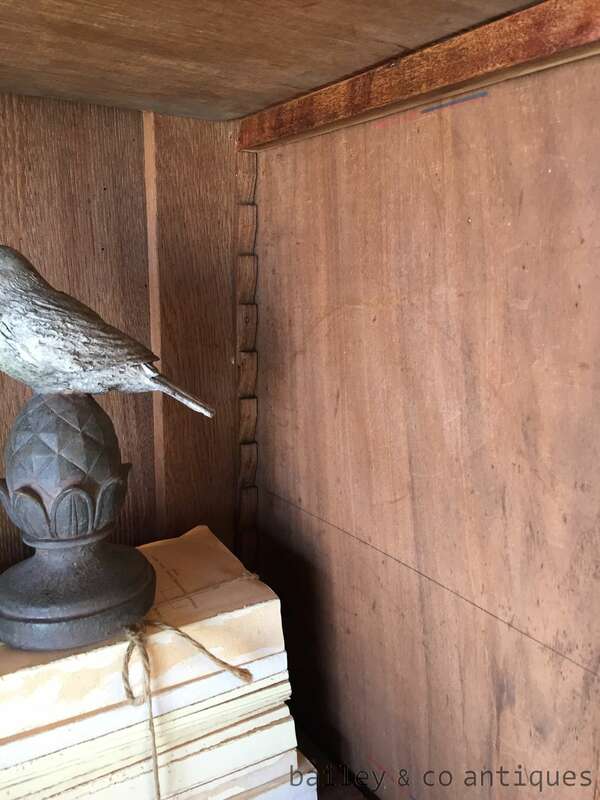 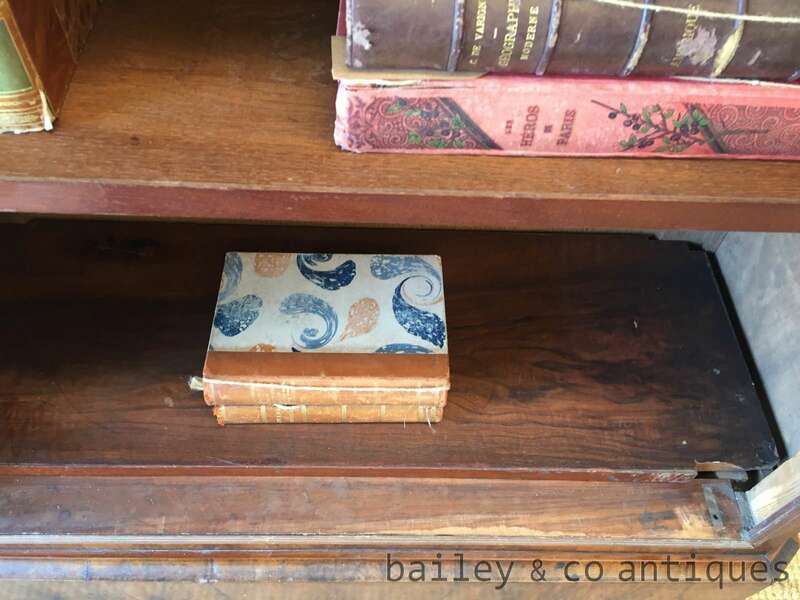 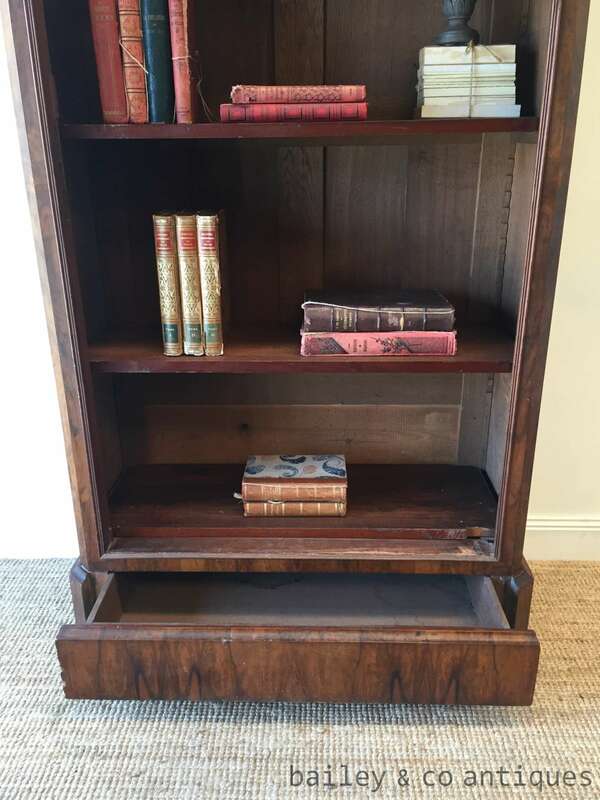 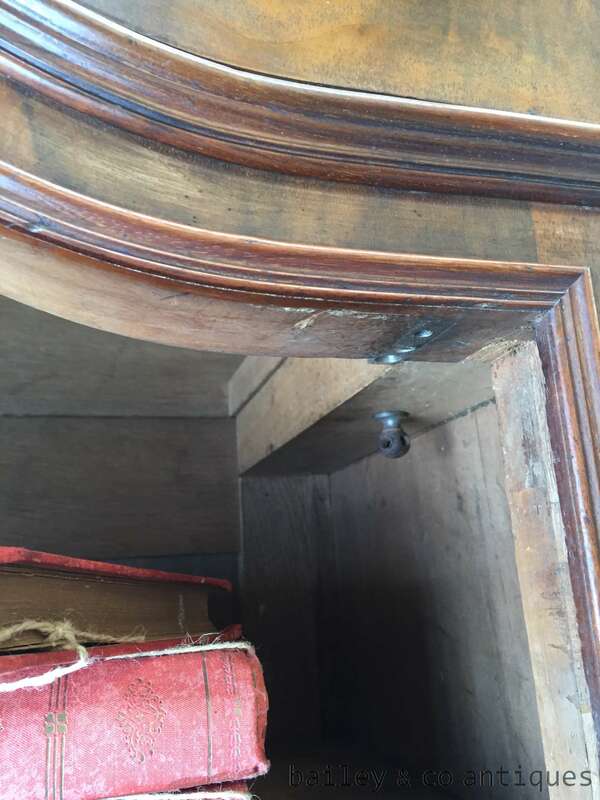 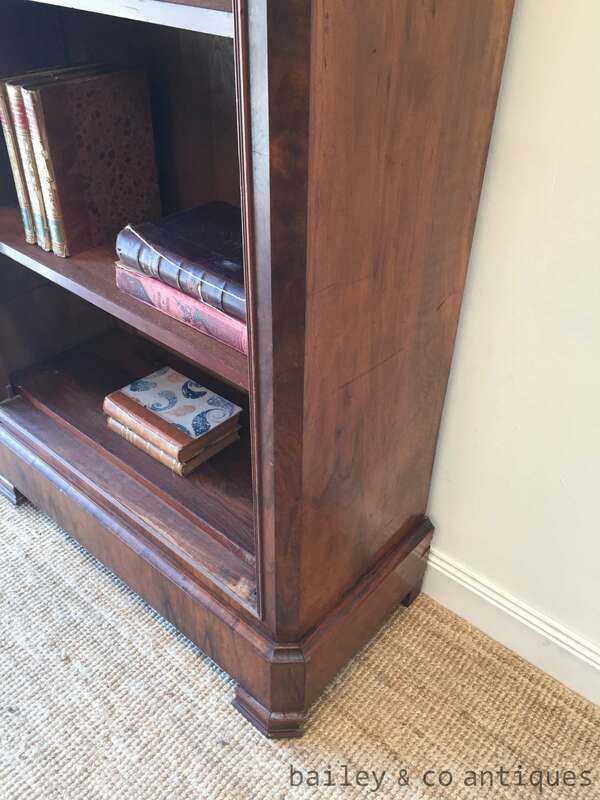 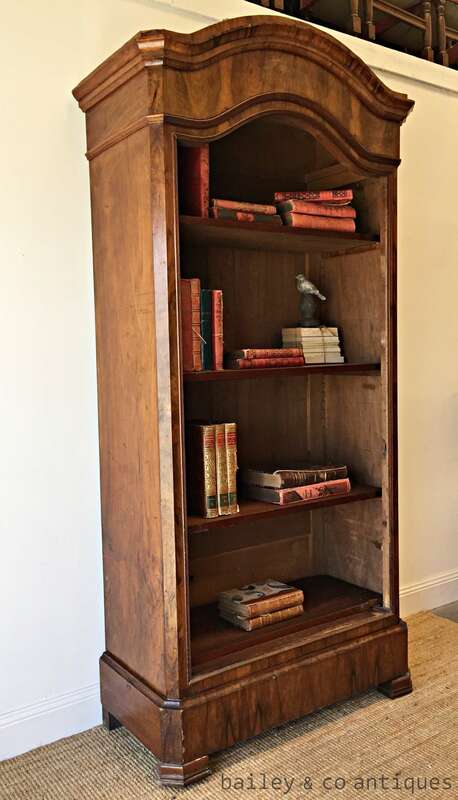 This is a very beautiful antique French bookcase - once an armoire with the doors removed. 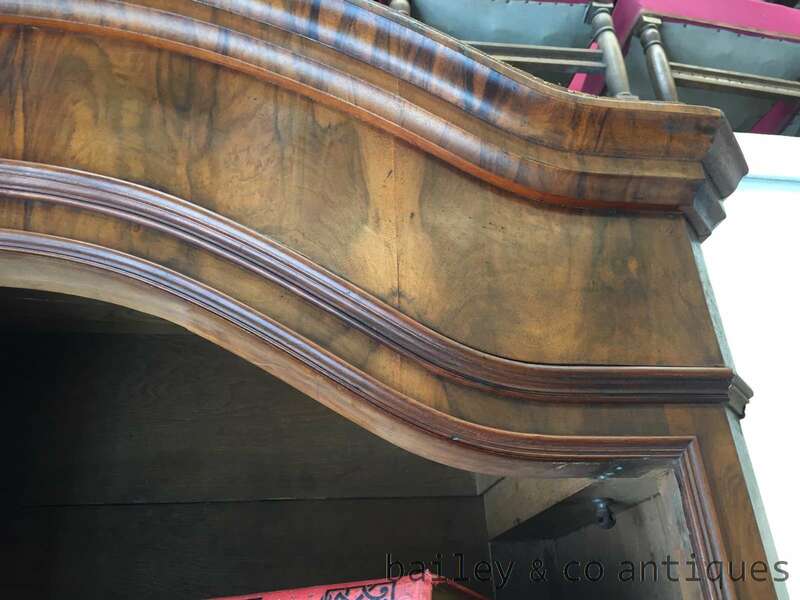 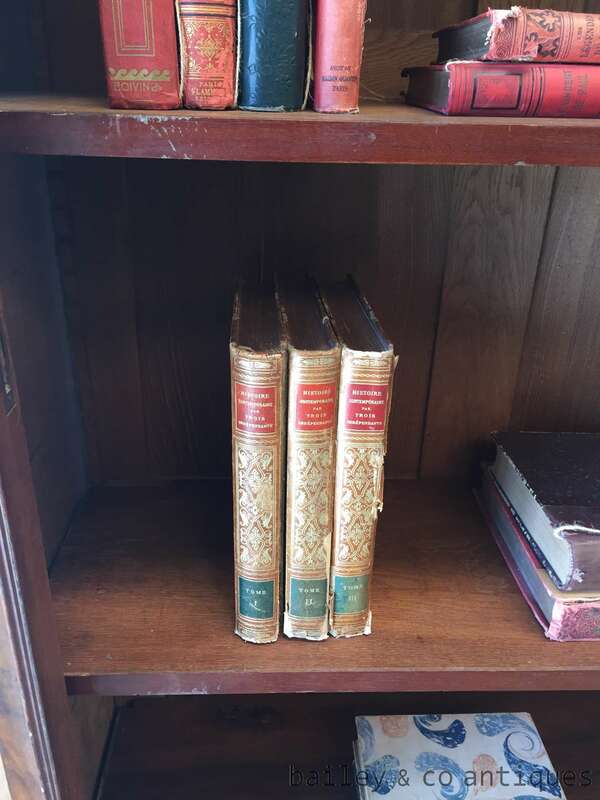 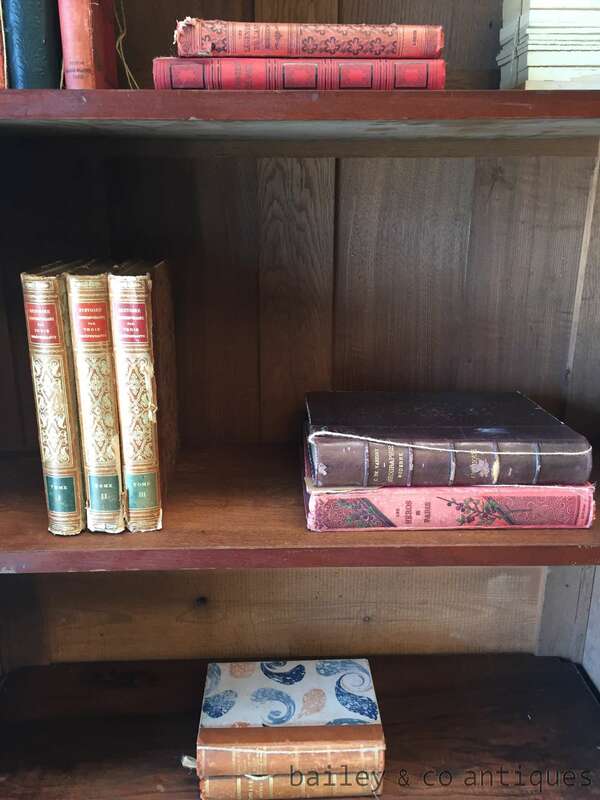 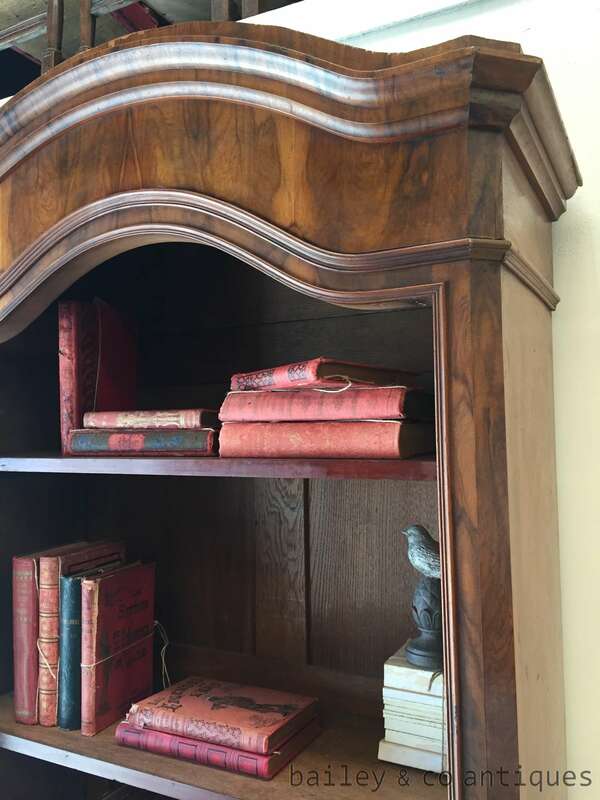 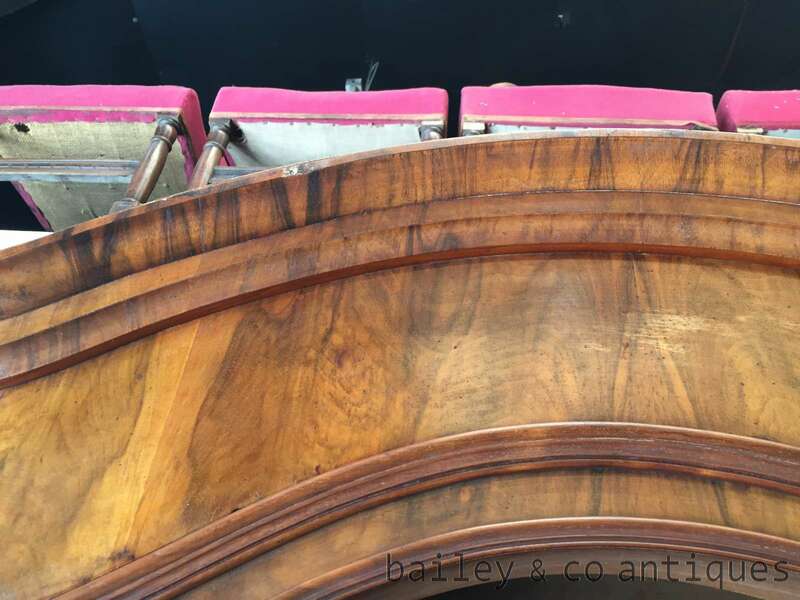 The domed top and beautiful mahogany veneered finish ensure this would take pride of place in any room from a lounge library with books to a kitchen displaying china or also displaying linen. 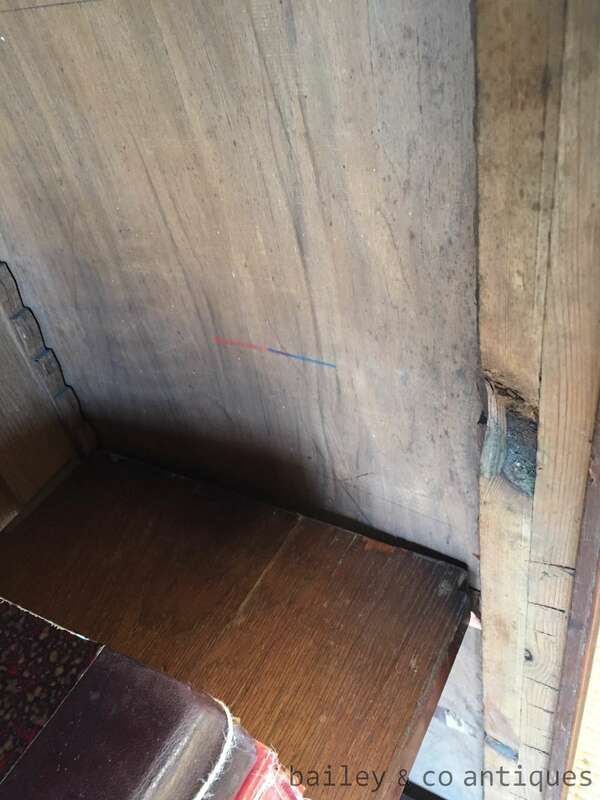 There are some usage marks etc - and the remains of the old lock and door parts which are small and not overly noticeable. 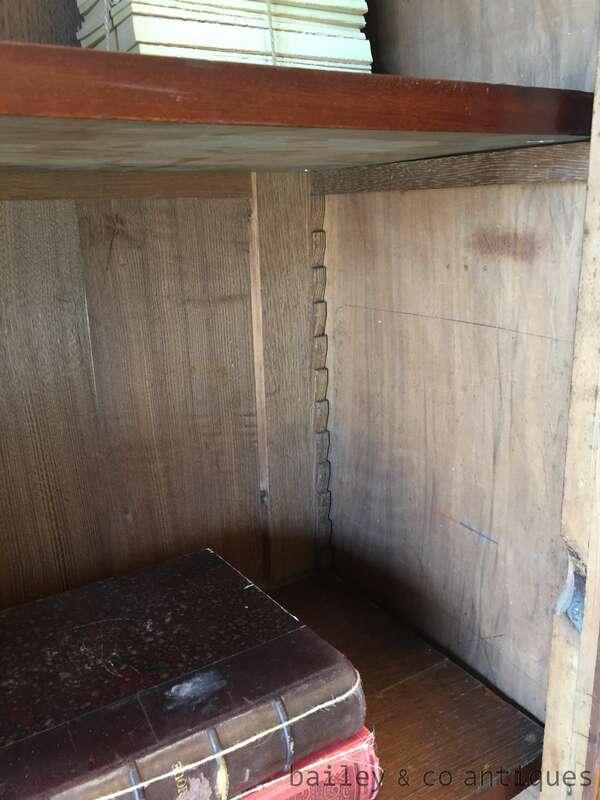 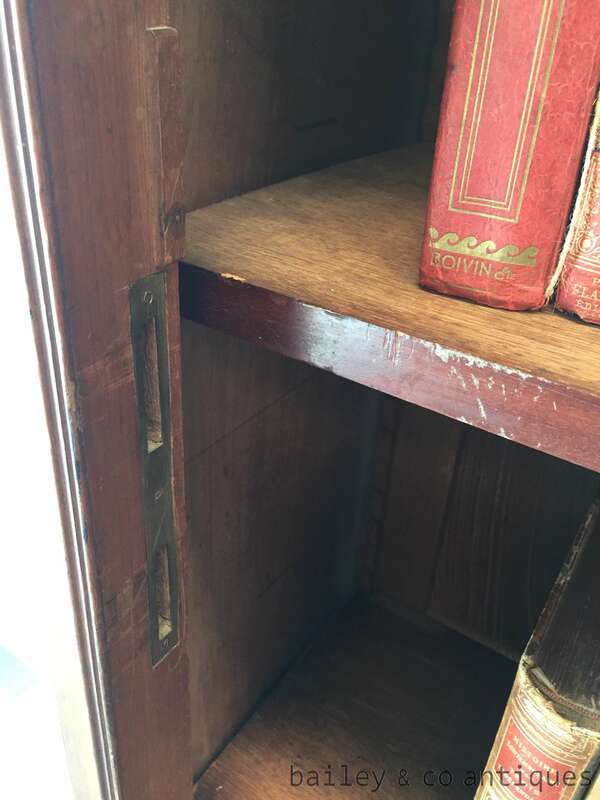 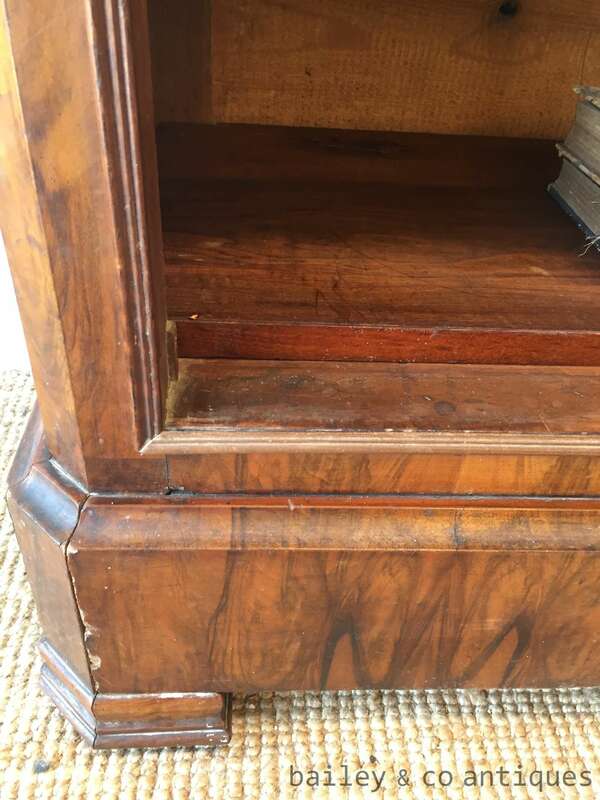 There is a secret drawer in the bottom as shown in a photograph.